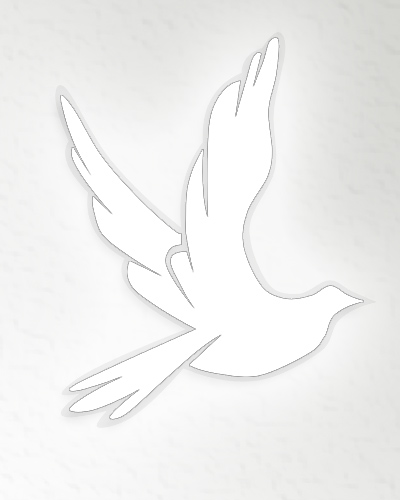 Obituary for Hazel Belva Reynolds | Obaugh Funeral Home, Inc.
Hazel Belva Reynolds, 85, of Burnsville, died on Friday evening (February 5, 1999) at Augusta Medical Center. She was born on April 12, 1913 at Bolar, a daughter of the Joseph and Della (Armstrong) Carpenter. She was preceded in death by three husbands, Max Guy Robertson, Pinckney Stephenson Lockridge and Robert Lawerence Reynolds. She was a homemaker. She attended Burnsville United Methodist Church wasn was a past member of Clover Creek circle and Clover Creek Home Extension Club. Surviving are two daughters and a son-in-law, Carolyn L. and Tommy Burns and Evelyn R. White, all of Staunton; a son and daughter-in-law, Joseph L. Lockridge of Burnsville; three step-children, John Reynolds of Monterey, Jean Hiner of Staunton and Connie Martin of McDonald, Pa.; seven grandchildren, Thomas Allen, Steven Guy and Cindy L. White, Michael Scott and Dwayne Thomas Burns, Curtis Eugene and Anthony Lee Lockridge; three great-grandchildren; and a great-great-grandchild. She was preceded in death by a step-grandchild, Billy Reynolds. A service will be conducted at 2 p.m. on Monday at Obaugh Funeral Home by the Revs. Bob Maas and Bob Ford, with burial in Big Valley Cemetery, Bolar. Pallbearers will be Thomas Allen and Steve Guy White, Scott and Dwayne Thomas Burns, Curtis Eugene and Anthony Lockridge and Melvin, Nelson Jr., Gray and Garland Carpenter. Honorary pallbearers will be friends and family attending the service. The family will receive friends from 6-8 tonight at the funeral home in McDowell, and at other times at the residence of Jospeh L. and Betty Lockridge at Burnsville. Memorials may be made to Burnsville United Methodist Church, Burnsville, Va. 24487.